Home wwe breaking news Why the Undertaker lose against Triple H at Super showdown event? Why John Cena won in just 40 seconds? The shield is back same old look! 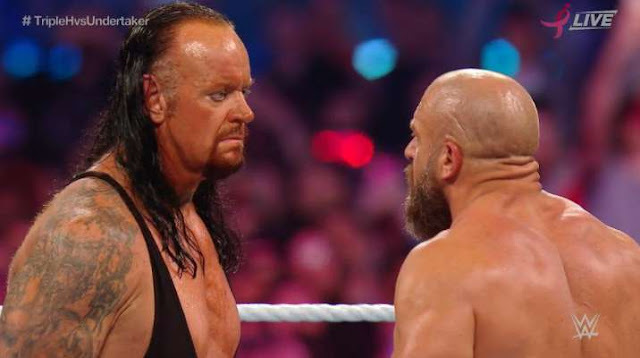 Why the Undertaker lose against Triple H at Super showdown event? Why John Cena won in just 40 seconds? 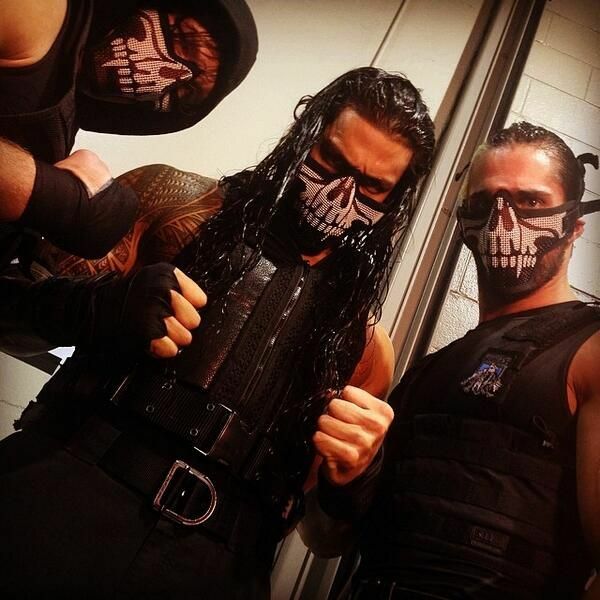 The shield is back same old look! Update (1) :- Why the Undertaker lose against Triple H at Super showdown event..? So before sometime WWE had only announced the match between the Undertaker and triple H for super showdown event and it was just a normal match but after some time we got to know that in Triple H's corner there will be Shawn Michael and on Undertaker's corner there will be Kane. After that we all had assumed that there will be something interesting between these four Superaters.. And after some time we also had seen that to make this match more interesting WWE converted this normal match into a no disqualification match and we had also seen that there was a great involvement of Shawn Michael and Kane. By seeing such those things we had assumed that the ending of this match will be different. As according to our expectation, we seen that WWE had made both the teams equal powerful and dominating too.. As Triple H and Shawn Michael's team was shown powerful by their victory but however they won the team standing up was of the Undertaker and Kane. So by here only WWE started a huge storyline for the match between the Undertaker and Kane vs Triple H and shawn Michael. So this was the only reason for the attacking of the Undertaker on triple H after losing against him. And the reason behind the Undertaker's losing this match is that WWE wants to push this storyline ahead. Now the question is that when we gonna see this tag team match? So regarding this the rumours had started coming that we gonna see this epic tag team match at Crown Jewel event in Saudi Arabia on 2nd November. So I hope that now there is no doubt in your mind regarding Undertaker's losing..! Update (2) :- Why John Cena fought the match only for 40 seconds..? As we all had seen in John Cena and Bobby Lashley vs Elias and Kevin Owens match that 90 percent of the match Bobby Lashley had fought and the remaining 10 percent of the match was fought by John Cena. So now the rumours reason behind this is coming that John Cena is very busy with Jackey Chaine related to a movie shooting in China and we already know that if any wwe superstars goes in film industry then he becomes very busy and it is difficult for him to manage his time with WWE also and also John Cena is a huge superstar.. If he fought in this match for a long time then there was some possibilities of injury and other harms to John Cena by which it can a huge loss to the film producers. So by keeping this thing in mind WWE company had booked John Cena only for less then a minute in super showdown event. So guyz this is it in this update I hope you guyz like this update. Update (3) :- The Shield is back with the same old look..! If you guyz had noticed the Shield clearly then I am 100 percent sure that the first thing which you have noticed is their entrance from the crowd in such a huge stadium and the another thing which we had observed is the mask on their face which we saw many times ago on their face. So WWE had brought back the same old Shield which we had seen earlier before and this was really shocking for many fans and haters too. But now the question is that for how long we gonna see this mask with them? So behind this the rumours are coming that most of the time now we gonna see the Shield with this mask in upcoming raw episodes and pay per views (ppv) also. I hope you guyz also like this look of the Shield. So guyz this is it in this update. I hope you guyz like today's updates.